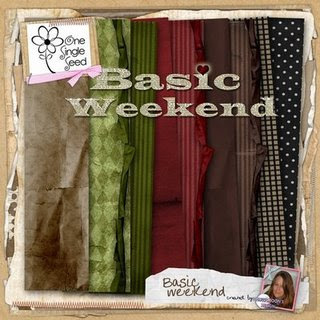 Bon Scrapatit Designs: WHAT IS A "BASIC WEEKEND"??? LOL! I KNOW, I KNOW!!! WHAT IS A "BASIC WEEKEND"??? LOL! I KNOW, I KNOW!!! 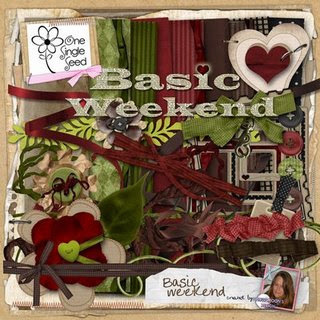 He, he ... my *Basic Weekend* ended the WEE hours of this morning while finishing up a layout using my BFF's newest scrapkit, *Basic Weekend* NOW available at the INCREDIBLE price of ONLY $2.00 through April 15th! You EVER just retreat to the computer to scrap as a way to unwind or to help you switch gears? Well, that is EXACTLY what I did last night and wouldn't give it up until I was finished!!! 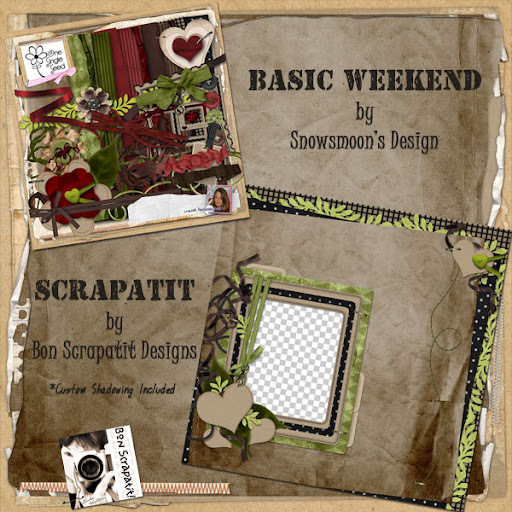 It felt SO good just to scrap and Dawn's *Basic Weekend* is such a VERSATILE kit and I hope that I've helped to showcase that with my layout that she has SO graciously given me permission to share with y'all as a "scrapatit"!!! Thanks girlfriend!!! I was in the mood to do something outdoorish and as I began to search through the background papers, I realized that *Basic Weekend* was boasting the colors of my daughter, Joan's wedding last August! The rest is history! 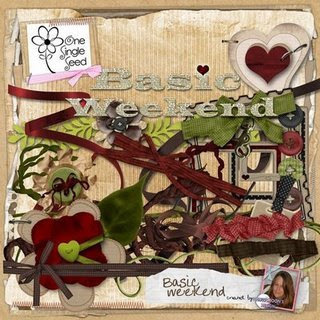 Here are the previews of *Basic Weekend* by Snowsmoon's Designs available for ONLY $2.00! Well worth the regular price of $4.99, so this is DEFINITELY a "bargain"! Store link is attached to EACH preview! 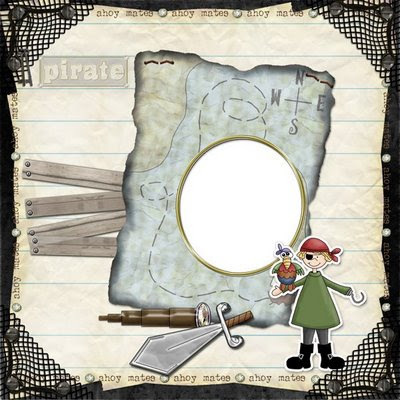 Dawn also has an ADORABLE QP offered up on her blog from her kit, *My Little Pirate*! Aye mates, click the image below to "walk-the-plank" on over to her blog to download this SWEET treasure! Make sure to leave her some LOVE, lest we all be swabbin' the decks! ROFL! Below is a layout of my daughter, Joan and her Prince Charming! She was SO thrilled to become Mrs. Travis Uhlig and shouted it out to the world!! !